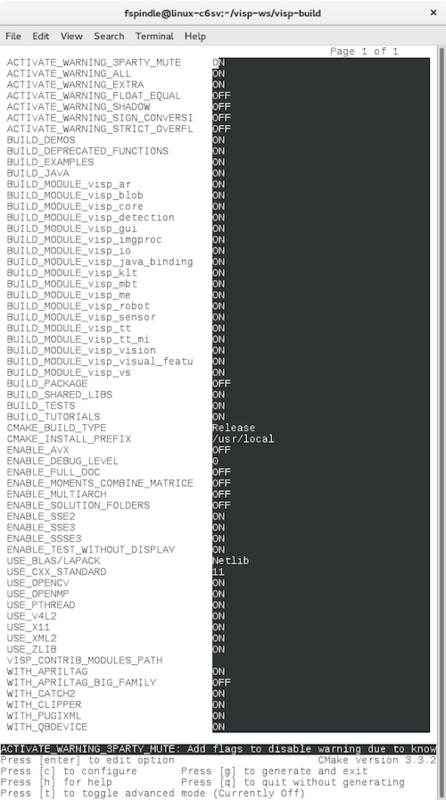 In this tutorial you will learn how to install ViSP from source on openSUSE. These steps have been tested for openSUSE 14.1 (x86_64) and openSUSE Leap 42.3 (x86_64) distro, but should work with any other distribution as well. Note that with openSUSE 12.04 but also with 13.02, libjpeg-devel package lead to libjpeg62.so installation, that may conflict with libjpeg8.so that is also installed. That's why we recommend to not install libjpeg-devel, but rather install libjpeg8-devel.